My name is Shishir Sharma. Cpt is the name I use in Counter-Strike Life. CantGetANick is the name I use on IRC. I can speak C, C++, Java, Ruby, Python, Matlab and VHDL. And also script in Perl, PHP, Batch Shell-script. I am a teacher, used to teach part time at Nalanda Coaching Institute, Jaipur, also used to take tuition at my home. I work at SlideShare, which is now LinkedIn. Earlier I worked at Persistent Systems Limited. There I worked for Yahoo AdApps as a developer and for Curl as a graphics developer. I am an Electronics & Communication Engineer. I completed my bachelor in 2004-2008. I can be reached through mailto://mail[at]shishirsharma.com. I have worked on morphological image processing and designed nFRI which is a face identification software. nFRI is reverse of “I am Ready For Next”. It supports inbuilt Database for subject identification. It was developed in MatLab and then ported in Java by one of my friend. I have worked on WordMint. 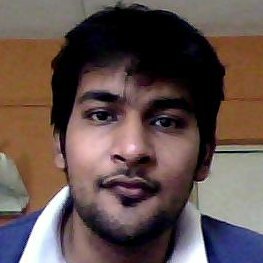 An open source transliteration tool for English to Hindi transliteration. We received Sarai FLOSS fellowship 2008 for this project. I have interest in hardware. I have co-designed LNTAL. A Computer Numeric Control Machine (Computer programmable + Wireless remote controllable). It is abbreviated as Let’s Not Talk About Lntal. Which is a recursive acronym. My part on Lntal was more on Electronics. I also designed MARCO. A Short Range FM transmitter of approx 150 meters Range.